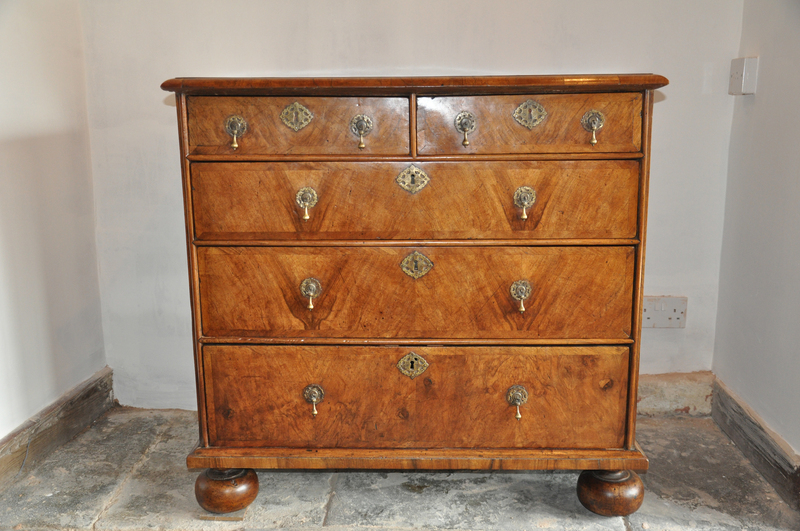 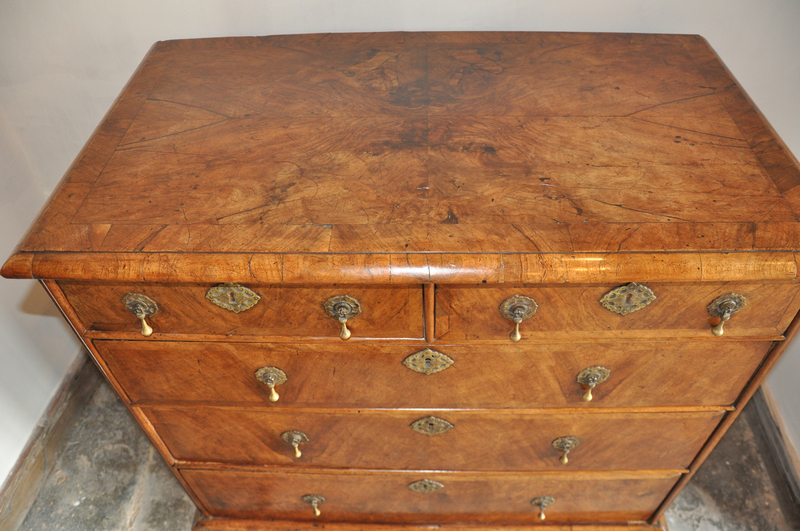 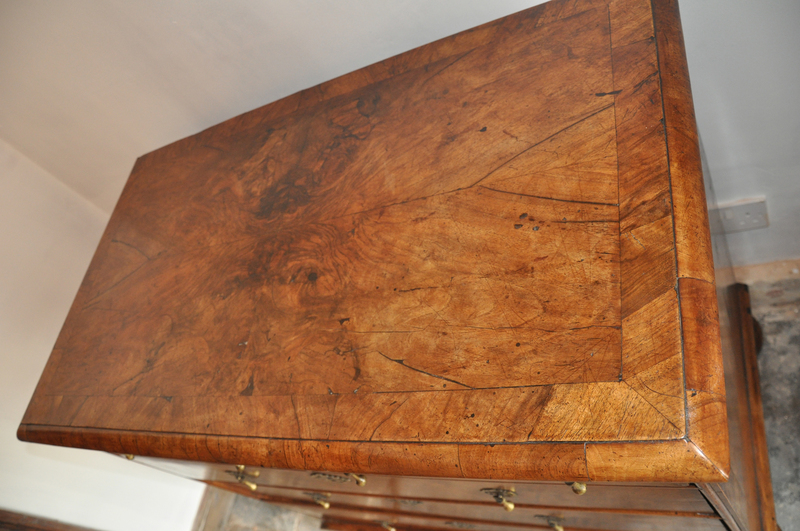 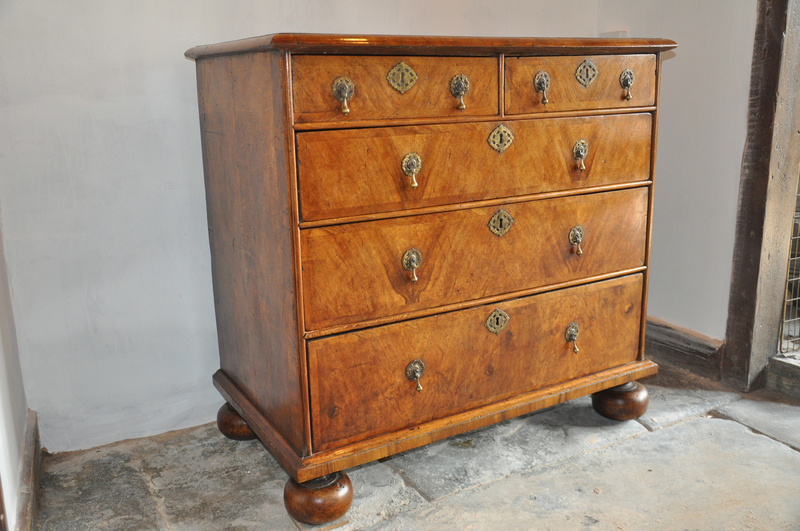 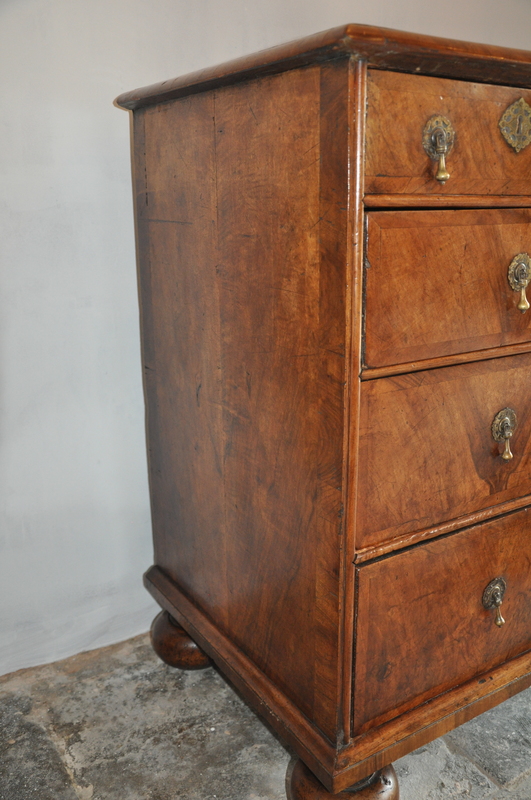 A Fine 17th Century William and Mary Figured Walnut chest of drawers of lovely warm Colour and patina. 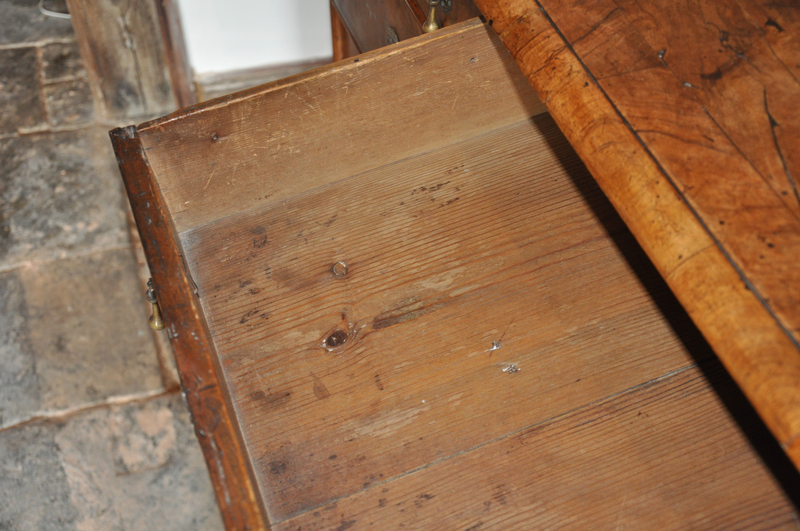 Handles replaced some time ago in keeping with the period as are the bun feet. 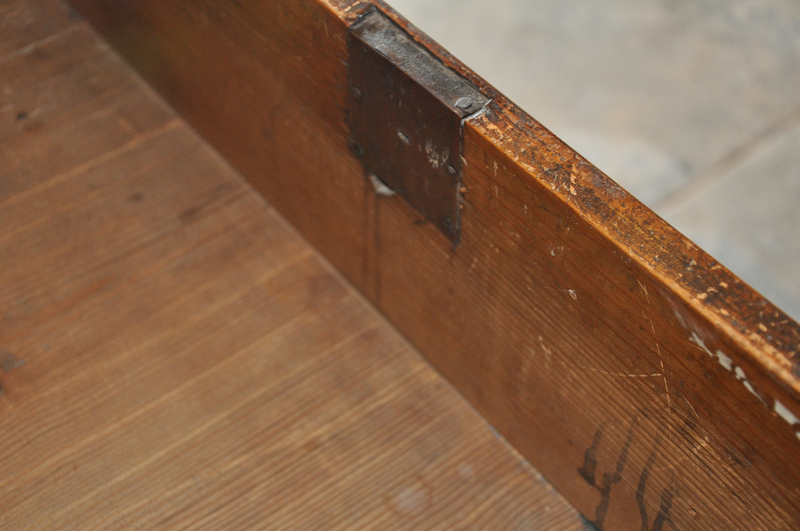 The original pine linings are in good clean condition.